Security forces in the occupied West Bank answering to Palestinian leader Mohamed Abbas have arrested a prominent activist for a posting where he urged the Head of the Palestinian Authority (PA) to resign. 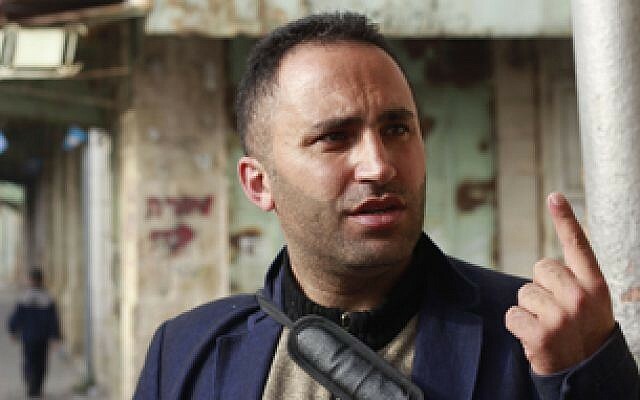 Human rights activist Issa Amro from Hevron was arrested Monday, his lawyer told the Associated Press. London-based Amnesty International called the arrest ‘shameless attack on freedom of expression’. Amro’s arrest adds up to numerous other detentions of critics of Abbas who is facing barrage of tirades for not being able to protect the Palestinian people. The PA controlling Ramallah part of the West Bank has stepped up crackdown on journalists. On Sunday, security forces also detained Ayman Qawasmi, a Palestinian reporter, after writing that Abbas should resign for “failing to protect the Palestinian people”, AP noted. Qawasmi’s radio was closed down last week by the Israeli military over its incitement to violence. The PA last month imposed a controversial law curbing freedom of expression in social media and news websites. The new decree stipulates prison terms ranging from one year to life for those who use digital means for a range of all-encompassing offenses. The PA said the decision was made to maintain the state or the public order and protect national unity or social peace. Over 30 news websites mostly aligned with Gaza-ruler Hamas and Abbas’ opponent Mohammed Dahlan have been closed since July. Written by: KanelkaTagba on September 5, 2017. Posted by KanelkaTagba on Sep 5 2017. Filed under Headlines, World News. You can follow any responses to this entry through the RSS 2.0. Both comments and pings are currently closed.